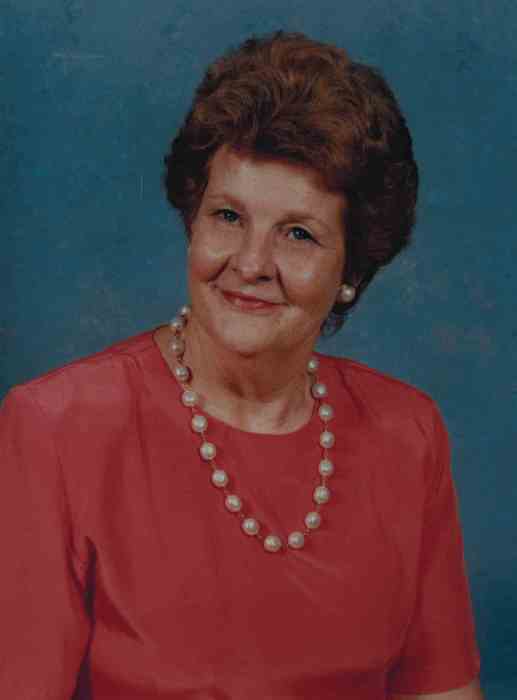 Fairview – Mrs. Martha Sue Padgett Ward, 79, went home to be with Jesus on Wednesday, February 6, 2019. Mrs. Ward is the wife of James Dozier “J. D.” Ward who have been married 61 years. She is the mother of Rhonda W. (Michael) Goodwin of Hickory Grove, Jerry D. Ward of Leesville, and Janet W. (Tim) Boone of Leesville. She is the grandmother of Megan W. “(Michael) Reynolds, Ashton G. (Michael) Rhodes, and Kaylen G. (Will) Revels; and great grandmother of Kenzli A. Rhodes, Gracelyn Sue Rhodes, Mason B. Reynolds, Ellie J. Rhodes, and Stella B. Revels. Mrs. Ward is the daughter of the late Cleve Ashton Padgett, Sr. and the late Maybelle Spradley Padgett. She is the sister of the late Cleve A. “C.A.” Padgett, Jr., Lyles Gantt, and Katherine G. “Kat” Padgett. She is the sister-in-law of Hazel B. Padgett. Mrs. Ward is a member of Convent Baptist Church where she was a Sunday School Teacher, Pianist and Organist. She retired from DHEC after 40 years of service. She served as Regional Director of Home Health Services. Mrs. Ward also retired from H & R Block after 15 years of service. She enjoyed Crappie and Bream fishing, shopping, traveling, flower gardens, motorcycles, reading and cooking. She loved spending time with her grands and great grands. Mrs. Ward loved her family and her church. A Service Celebrating the Life of Mrs. Ward will be held Saturday, February 9th, 2019 at 3 pm in Convent Baptist Church. The Reverends Travis Crumpton, Michael Goodwin, and Leo Senn will be ministering. Pallbearers/Ushers will be Claude Gantt, Jami Gantt, Marion Rish, Dusty Rish, Dennis Padgett Trevor Padgett, Jeffrey Padgett, Sr., Jeffrey Padgett, Jr, Jim Padgett, Willie Robinson, Brent Shumpert, and David Shumpert. Mrs. Ward will be buried at a later date in the presence of her immediate family. In lieu of flowers, the family asks that memorials be made to the Convent Baptist Church at 787 Convent Church Road, Leesville, SC 29070.